Composting is easy, free, and an important strategy for curbing harmful climate pollution. More than 100,000 tons of food goes to the Central Landfill in Johnston every year. Integrated recycling and composting efforts could double Rhode Island landfill’s lifetime through 2049. 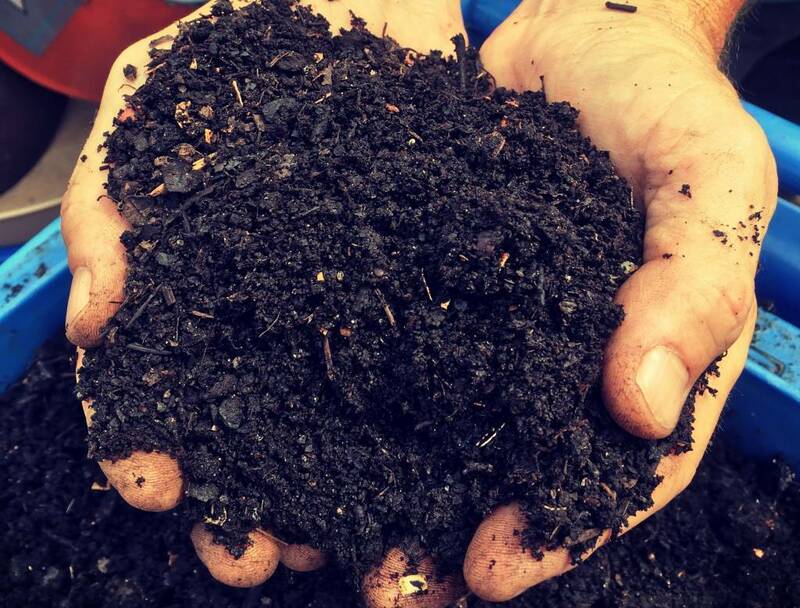 Compost can replenish poor soil and replace harmful fertilizer used to grow the food we eat. Cuts down harmful climate pollution that is created from food waste decaying in landfills. Can slow the flow of storm water which helps prevent flooding and water contamination. Helps decrease municipal waste costs. Own a business? 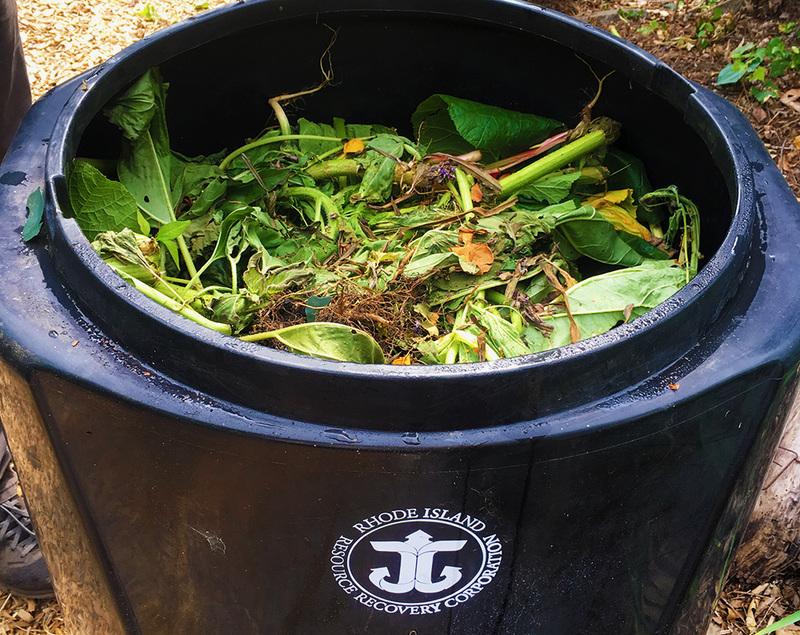 Composting food scraps can help reduce costs associated with waste management. The ideal place to make compost is your own backyard or outdoor area. You can purchase a compost bin from the Department of Public Works or Rhode Island Resource Recovery, or build your own using low cost materials. Search “DIY compost bins” on Google or YouTube for helpful tips. 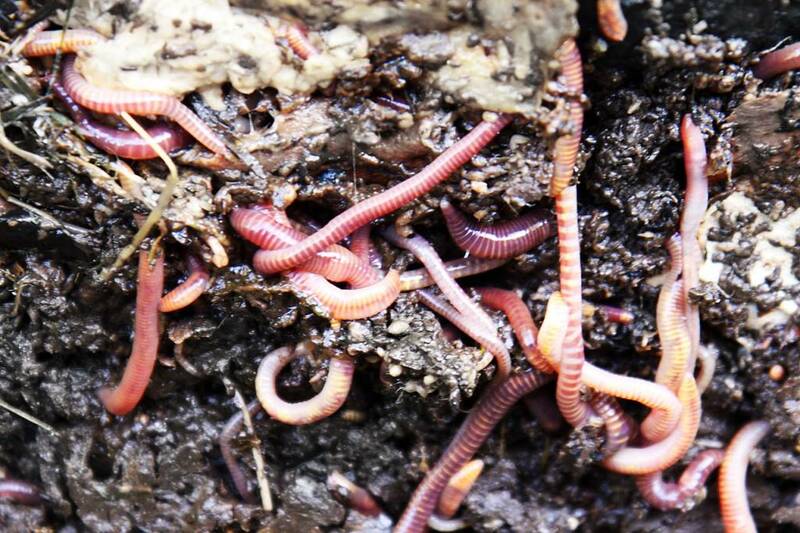 You can compost indoors using worms (vermicomposting)! A special type of worm called the “red wiggler” (Elsenia fetida) eat their weight in organic matter each day and digest food scraps to create nutrient-rich compost. Can’t compost at home, but want to do something with your food scraps? Are you a restaurant or business with large amounts of food waste? You can call a service to pick up your kitchen waste, or you can drop off food waste at various composting depots across the city. This ensures your unused food will go towards healthy growth, rather than rotting in Rhode Island’s landfill. HANDY TIP: collect household foodscraps in an airtight countertop container and keep in the freezer in between collection/drop off days. No smell, no fruit flies! 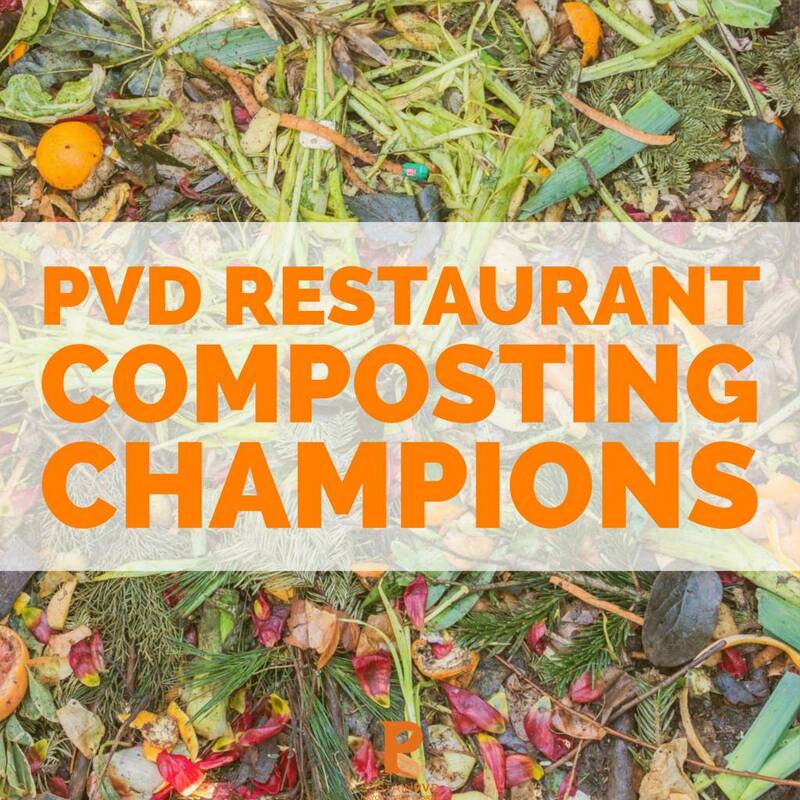 Know of any other restaurants that compost? Tell us at SustainPVD@gmail.com and we will add to the list.